NLP or Neuro LinguisticProgramming is the best technique to use Communication, linguistic and psychotherapy together. It is the way of transformation of life. The individuals undergoing problems which are psychological in nature can get rid of issues like low confidence, low self-esteem, fears and anxieties. The true potential of the individual can be reached when there is a change in the thoughts and behavioral pattern of the individual through which the mental faculties are cleansed of all the negative emotions and filled with positive vibrations. It is all about change in outlook and the best way to change the process of thinking and actions is by bringing about positive changes in perspective. The idea is to look at the glass half full rather than imaging it to be half empty. There are always ways of thinking that can be modified and the personality development of the subject in question can be undertaken. Which are the areas in which NLP can be used? There are diverse fields like business, coaching and sports where the Neuro Linguistic Programming (NLP) technique is use to help the individual bring out positive results from the candidate with the help of nlp training. Through influence and self-motivation, the individual is able to perform better professionally as well. The books on self-help and personality development will definitely have some details of the Neuro Linguistic Programming (NLP) because it is the best way to cure the mental issues leading to fears and anxieties and low confidence. The techniques and methods which are used in this therapy are the best measures for phobia cure, for learning the oratorical skills and being better visionaries. The idea that Neuro Linguistic Programming (NLP) functions through is that of observation. There is no medication or hypnosis that is involved in this approach. The only mode of finding solutions to the problems is by analyzing the choice of words of the candidate. There is a set of phrases or words that is chosen by the subject in question and it is through the choice of these words and phrases through which the the subject is question reveals what the inner psychological issues that he / she are undergoing through. Sometimes certain choice of words is enough to reveal the mental state and it is these words that should be analyzed by the Neuro Linguistic Programming(NLP) practitioner. The practitioner can then anchor these words to analyze and find out the impending issues of fears, phobias and inhibitions which have caused emotional trauma and underlying mental issues in the candidate. It is by elimination of these negative feeling and enforcing positive thoughts in its place which are helpful actions of the Neuro Linguistic Programming therapy. What are the techniques of Neuro Linguistic Programming(NLP) approach? Neuro Linguistic Programming is a scientific method of critically handling the psychological issues of the individual. Thus, it should be undertaken by a professional only as there are protocols and techniques which should be followed while conducting the process otherwise it could have adverse effect on the subject as well. Rapport Building – Since the whole premise of the experiment is based on the idea that the candidate will speak and communicate his issues, it is very important that the subject is comfortable in the surroundings and also comfortable with the practitioner. For this the practitioner should be a good listener and make the subject trust and believe the confidentially and also the assurance of help from the session. A good rapport with the subject in question will provide a good floor to engage in underlying issues which is the prime reason for the Neuro Linguistic Programming exercise. Dwell into deeper issues – Sometimes the subject also fails to relies the effect past experiences have on the emotional and mental state of the person. The individual will be aware of the fear of heights but will have no idea as to where it came from. This fear could be linked to a suppressed bad experience of the past. The work of the Neuro Linguistic Programming (NLP) practitioner in this case it to anchor on those past experiences and remove them completely from the mind of the subject. For this the practitioner should be highly skilled and responsible in his line of work. Creating a motivation in the candidate to change the behavior and thoughts in question – The main idea is to rid oneself of the negative fears, phobias and inhibitions and the candidate after realizing where the main problem lies should work towards the solution only then there is benefit of the Neuro Linguistic Programming (NLP) exercise. Otherwise there is no use of undergoing the process. The Neuro Linguistic Programming focuses on the solution and for this the candidate should be motivated enough to change his actions and thoughts. The practitioner can also try the technique of positive reinforcement in order to bring out such changes in the thought process of the subject. Kinesthetic Dissociation – This dissociation stands for the disassociation from the negative emotions which were suppressed in the mind of the subject only when the negative emotions are completely removed and forgotten by the subject then only with a clean slate new colors can be filled in the life of the candidate and emotional traumatic issues can be forgotten. Thus, in the end, it is safe to assume that Neuro Linguistic Programming (NLP) is a very effective approach and all the subjects who would like to vail this therapy and experience its benefits should undertake the process under the mentorship of the a professional of the filed only. There are many consulting services available for this therapy but a smart candidate will choose the best after careful research and analysis only. The good ones are registered and have experts working for them. Almost every individual on this planet, willing to learn or excel at something, needs training from someone who has already mastered the craft. Selecting an efficient trainer is a sure shot way of ensuring that the time, energy and other precious resources of do not get wasted. Therefore, putting one’s complete faith in the trainer is the only way. When it comes to traditional trainers, nothing much can be expected from them in terms of behavioural, emotional and psychological understanding and control. 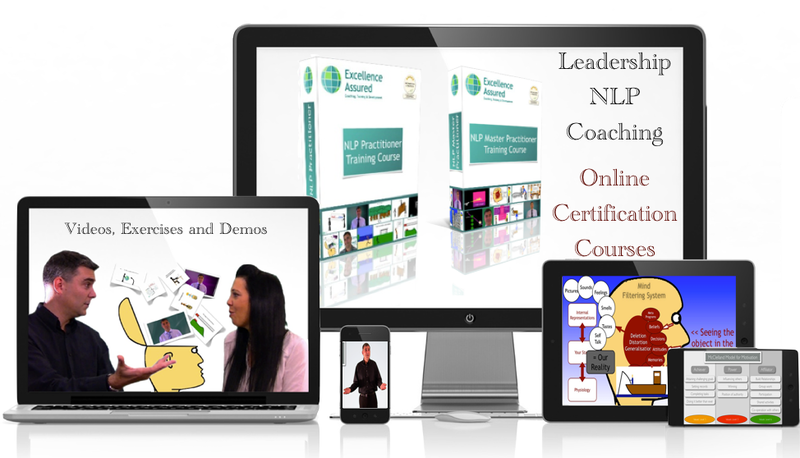 But when the question is of NLP trainers, these very fundamentals do not only become imperative but also their USP. Proficient NLP trainers in India therefore have this extra-edge over their counterparts who are stuck with traditional modes of training, often lacking ability to communicate their expertise to the clients/audience. Neuro-Linguistic-Programming enable the trainers to divert from the one-suit-fits-all mentality and deliver & lead the training based on the cues, conscious or unconscious, that the audience is giving. This level of effective and psychological engagement of a trainer with their audience can hardly be expected from an orthodox trainer. NLP trainers in India comfortably fill this trust-deficit by matching and mirroring their audience’s behaviour. Armed with the knowledge of NLP fundamentals, an expert NLP trainer treats every member of an audience as a unique one, with different life experiences, learning abilities and hence a different approach towards training. 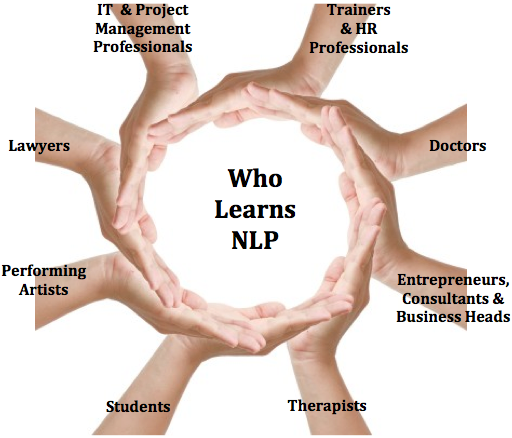 Are all NLP trainers the same? Yes, because an NLP trainer is expected to have profound level of understanding of concepts and methodologies pertaining to Neuro-Linguistic-Programming. No because just having the knowledge doesn’t necessarily means that the trainer will also possess the ability to understand the human psychological system and base his/her training message on that. Then how to find the best NLP trainers in India? 6)Enable to be an active player rather than a mere spectator in whatever walk of life you choose. Ever thought how your brain can go? What is the capacity of human brain? Ever thought that if you can overcome your fear to interact with others or improve ypur personal development. You may be thinking that this is not possible and their is no treatment which can overcome your this brain problems than my friend you are wrong. NLP or Neuro-linguistic programming is an approach to communication, personal development, and psychotherapy which is now available to the common man. NLP can treat problems such as phobias, depression, tic disorders, psychosomatic illnesses, near-sightedness, allergy, common cold, and learning disorders. Moreover you will feel the effect of the treatment from first day itself. NLP has now come in trend and have become one of the best treatment to improve social skills and human personality. For example, if you work in sales department and your work is to contact your customers, talk to them and convince them to buy your products than you need to be very much social, free to interact, confident and strong. If you lack any of these skills than you do not have a single chance to convince your customers. Now in this situation you have two options either you quite your job or face the situation and overcome your fear. These type of fears are very hard to overcome but now with some NLP courses you can easily overcome these fears. Once you overcome these fears you will be able to interact with your customers more freely and will be easily able to convince them thus increasing your sales and profits. NLP courses and therapy also improves the brain in such a way that it improves your learning capabilities also. This therapy is good and useful for aged peoples or students and for others who have problems in memorizing something. As stated earlier it helps you come over with your phobia also and thus it brings confidence in you to face any situation. The courses are available to common man and anyone can take admission in it. The courses are very effective and shows their result in the first time itself. You can take admission in these courses in many area of India like Delhi, Mumbai, Bangalore and other places. These courses are cheap and effective and once completed you may find a different you who is much more confident, social and with many more improvements. Running away from your social interaction problems is not the right solution. The experts of NLP have always claimed the therapy to be effective. Moreover their is no side effect and every single time you will find yourself growing to the better you. Be it a social convention or a sales meeting after NLP courses you will be handling every problem easily and come out with success every time. So just run to your nearby NLP coaching center, get yourself an admission with respect of your problem, complete it and become the best of you.